The Ava 4-piece bathroom suite features modern soft square curves creating a clean neat design. It's compact design makes it ideal for cloakrooms or smaller bathrooms while the rimless pan improves hygiene. The slim wrapover soft close seat endures less wear and tear and has a smoother, quieter action. 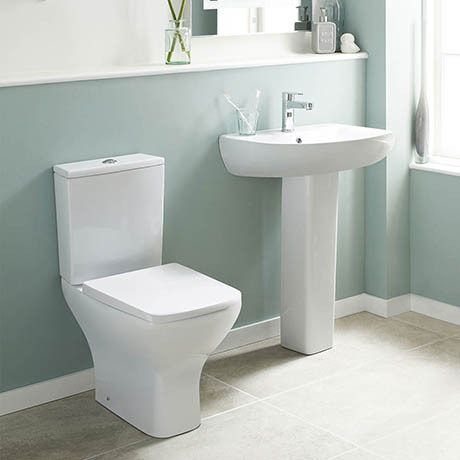 The basin and pedestal co-ordinates beautifully with the toilet and is made from high grade vitreous china and supplied with a full pedestal for a classic look.